Stage & Time | Friday night | This Tent | 2 a.m.
Another Canadian DJ duo to play Bonnaroo this year, Zeds Dead are no strangers to touring and the bright spotlight of the stage. However, their journey started a bit differently than many of their counterparts. This was no friends at art school or Berklee grads that found a bond through EDM encounter, rather the two were introduced in their homeland of Toronto when Dylan Mamid (DC) was referred to Zachary Rapp-Rovan (Hooks) to paint a graffiti mural in his garage. During this chance encounter, the duo discovered a shared love of hip hop and their mutual budding hobby of producing music. They teamed up and released their first work, which was heavily influenced by hip hop, in 2007 under the moniker Mass Production. In 2009, their focus shifted to high energy electronic beats, and they rebranded themselves as Zeds Dead when they released their debut track on MySpace. Around this time, they also started a weekly party called Bassmentality to give young DJs an outlet to hone their skills. As the DJs taking part in this party (think Skrillex, Borgore, Nero, and more) continued to grow, so did the audiences. Not long after, the Zeds Dead train left the station, and has rarely slowed down since. In the years since their DIY beginnings, the band has gained significant recognition with their remixes of artists like Radiohead, Foo Fighters, Massive Attack, The Rolling Stones, and many more. They also caught the ear of EDM goliath Diplo, who helped the duo release several EPs on his Mad Decent label. With the notoriety in the EDM community brimming, they most recently released their latest single “Back Home,” which features Freddie Gibbs, on their own Deadbeats label. 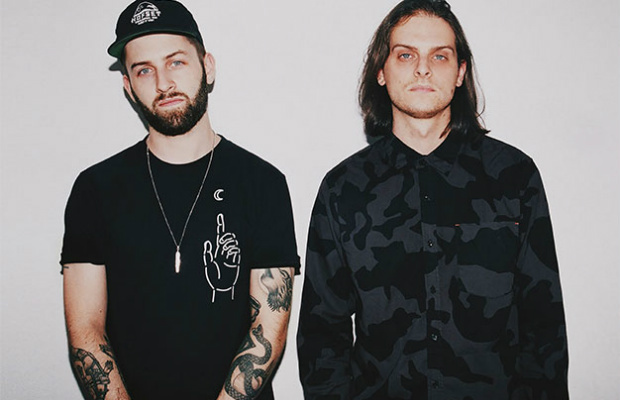 Hundreds of sold out tour dates, including appearances at pretty much every EDM festival you can think of, has seen the Zeds Dead’s stock rise, and we expect their well deserving set at Bonnaroo to be one that all fans of EDM will have circled on the schedule. And, so you don’t have to ask the person next to you during their set, yes, their name is inspired by the movie Pulp Fiction.